Complacency is the silent killer of banking organizations, impacting the ability to compete and to respond to the changing needs of consumers. The best defense against complacency is to accept the undeniable truths of digital banking and move forward with a unified commitment to embrace change. Why does the banking industry appear to move at such a slow pace? Why does there seem to be a lack of intensity and commitment to keep pace with the changing marketplace? 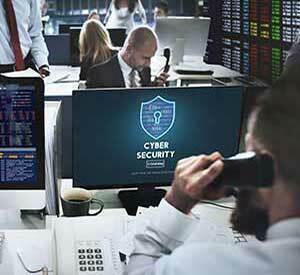 Many banks and credit unions seem to be stuck in neutral at a time when fintech firms, large tech organizations and the biggest banks move at lightning speed. It feels like many organizations have fallen victim to organizational complacency. Maybe it is because there always seems to be so much needed to be done to keep pace with technological and marketplace changes. Unfortunately, change is a constant, and complacency can only end badly. Over time, organizations that do not accept change will eventually see both customers/members and employees abandon ship. What can financial institutions of all sizes do to combat complacency? I suggest prioritizing investment and focusing effort to respond to the undeniable truths of digital banking. These priorities should not come as a surprise. In fact, all of these truths have been discussed often in The Financial Brand. The key is to go beyond agreeing with the logic presented and actually taking action. The following are not in priority order, and I know there are many more that I have missed. One overriding truth is the need to update legacy core systems and eliminate silos which hamper all components of delivering an exceptional consumer experience. While a risky assumption, I hope that all organizations are making strides to replace the legacy core that often dates back to the 1970’s. So, what are the undeniable truths of digital banking? According to Steve Reider from Bancography, freestanding branch costs averaged roughly $1.5M in 2017, not including the price of land. Despite a trend to smaller branch sizes, the average cost per square foot has increased consistently. The cost of inline branches averaged $700,000, also much higher than just a couple years ago. If you add in the cost of advanced technology being introduced in new facilities, the cost of physical facilities may never see a positive ROI. For most organizations, the goal of building a new facility (or even remodeling an existing branch), is to generate new accounts or to improve the experience for existing customers or members. The problem with that logic is that there has been a drop of at least 60% in the number of branch visits over the past 5 years. There is no reversal of this trend expected. Alternatively, the volume and importance of mobile banking transactions continues to increase. Most organizations will have a better chance of meeting acquisition and consumer experience goals by shifting the money allocated for new and existing branches to developing a better digital platform. With most Millennial consumers selecting their preferred financial institution based on digital capabilities, there is a better likelihood of generating a positive ROI by shifting your distribution investment to digital delivery. 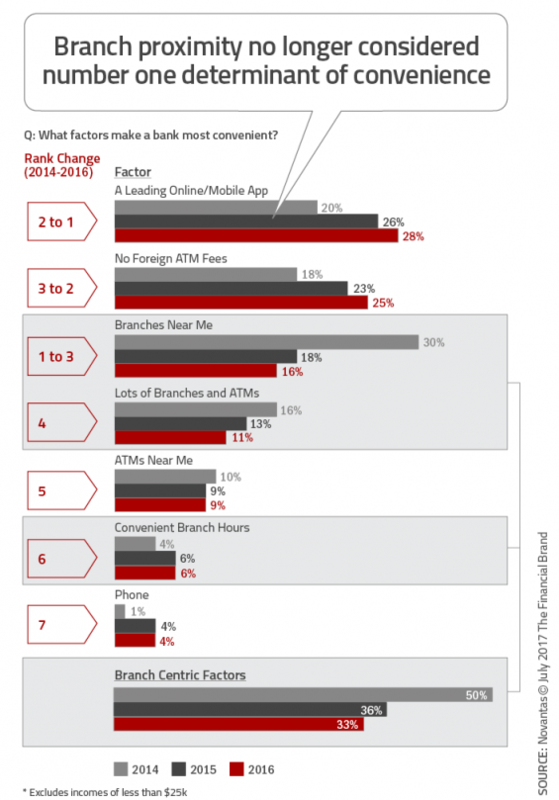 Ignore any research that says that the majority of consumers want to walk into a branch to open a new account. The reality is that consumers have to use a branch because there are few if any alternatives. 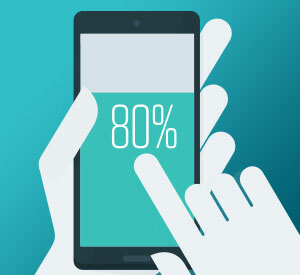 If a prospect could open a new checking account with as few as 8 steps, taking less than 5 minutes, the overwhelming majority of consumers would select the digital account opening option. Need proof? When was the last time a credit card application was done in a branch … or for that matter, using a paper application? New credit card applications are 100% digital today. 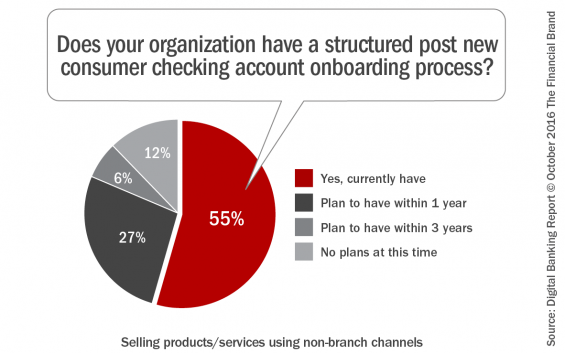 The primary reason a person who started the new account opening process digitally visits a branch is because virtually all organizations force the consumer to complete part of the process – in person – in a branch. What makes matters worse, is that the process that has started on a mobile device or online is usually restarted at the branch by a new account representative or universal teller to allow them to get credit for the ‘sale’. And, for those organizations that actually track attribution, the ‘last touch’ attribution goes to the branch office and not the digital channel. Invest in a highly streamlined digital account opening process this year to increase both consumer satisfaction as well as new account openings. With a process that is consumer-centric, with the fewest number of steps and single channel completion potential, abandonment rates for applicants will plummet, increasing new account generation overnight. I have worked with banks and credit unions for more than 15 years, helping to create new customer onboarding programs. Most use multiple channels for communicating to new customers/members, including direct mail, email, texts, online and mobile messaging. In every single example, retention of new customers went up enough to pay for the onboarding program implemented. That was before a cross-sale of engagement services even occurred. Despite the ROI that a multichannel onboarding program guarantees, over 40% of organizations surveyed still do not have a formal onboarding process. Put another way, only 60% of organizations formally thank their new customers for opening a new account. 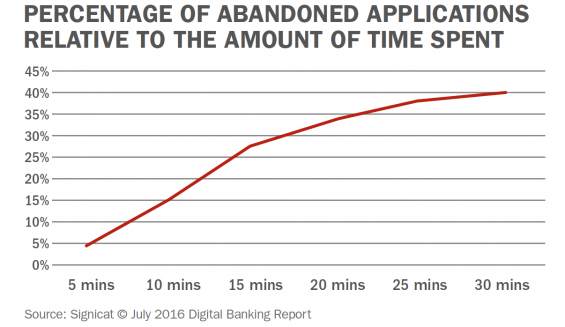 In research conducted by the Digital Banking Report, roughly 25% of financial institutions surveyed stated they would be ‘implementing an onboarding program within the next 12 months.’ In a frightening example of complacency in banking, this percentage has been roughly the exact same for the past 5 years. Why should a consumer feel that their corner coffee shop, large airline or hotel, online retailer or favorite restaurant knows them better than the place where they place their life savings and have a loan for the biggest purchases of their life? Unfortunately, it is because most non-financial organizations focus on personalizing each experience more than most financial institutions. 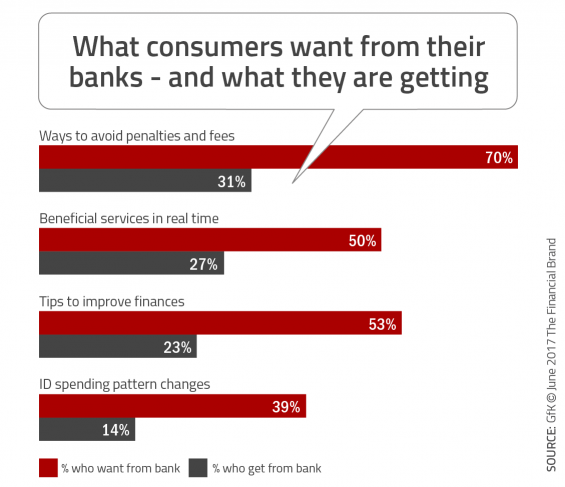 Despite surveys that continue to say banks and credit unions place personalization and consumer experience at the top of priorities, actions usually do not support these claims. In fact, despite the fact that consumers say they are willing to share even more insight into their needs than banks and credit unions currently collect, most organizations are not in a position to use the increase in data even if they had it. 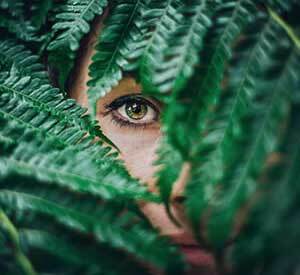 The personalization paradox states that consumers are worried about privacy, yet are willing to share more insight with their bank or credit union. In return, they want their primary financial institution to know them, look out for them and reward them. The key is to use data insights and advanced analytics to personalize each communication on every channel. There is no alternative for financial institutions than to invest in the collection and analyzing of customer data, and to deploy solutions that illustrate the desire to help the customer with their financial life. Not by telling them what has already occurred, but to enlighten customers/members as to what is the best way to prepare for the future. The winners in the new digital age will be those organizations that can simplify the buying process and ongoing engagement throughout the customer journey. Look at the applications you use the most every day. 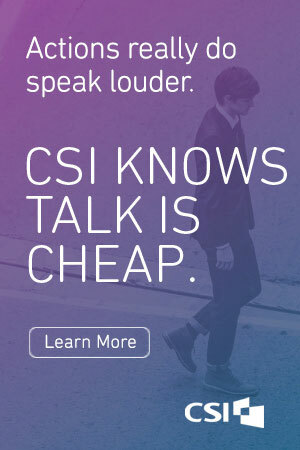 I bet they are those that get the job done with the fewest number of keystrokes and make the experience easy. Uber, Amazon, Google, Venmo, PayPal, etc. all simplify what was once a much more difficult process. What once worked in banking no longer applies. The banking industry is notorious for adding more options, decisions and ultimately steps to every process, with the belief that ‘more is better.’ This doesn’t apply in the digital age. Shopping and buying online needs to be only 1 or 2 clicks. Consumer insight needs to be used to eliminate non-applicable options that won’t resonate, leaving only the best (and easiest) path to purchase or completion of a transaction. Simplicity in design is also imperative. With the user at the core, design of products and applications must avoid ‘creative noise’ that interrupts the flow of engagement. Every effort in 2018 should be made to eliminate steps, improve design and simplify every interaction. Digital banking is not just what the consumer sees, it is what goes on in the background … in the back office. If the back office processes are not rethought and digitized, we are simply putting lipstick on a pig. The digital consumer is intelligent and can quickly see through digital veneer to the core. If the back office is not automated and digitized, the experience will not be optimized. It is time to eliminate complacency and move your organization forward – one step at a time. Start with these undeniable truths and leave bigger battles for another day. Instead of being overwhelmed by the massive change ahead, embrace the possibilities. This article was originally published on February 13, 2018 . All content © 2019 by The Financial Brand and may not be reproduced by any means without permission.